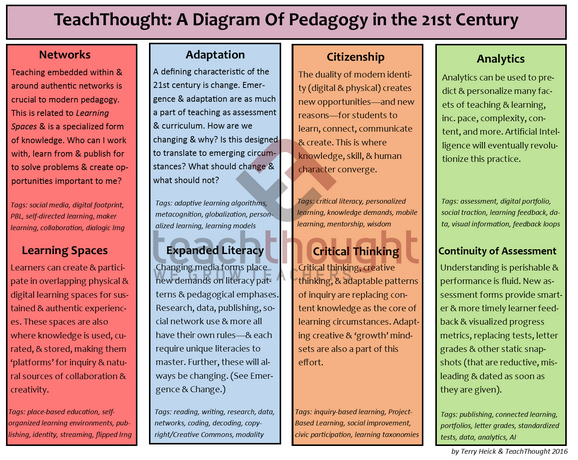 This week a TeachThought blog post came across my Twitter feed that I found myself re-reading and thinking about how well it captured some key concepts that show how teaching is different today than it used to be: TeachThought: A Diagram of Pedagogy in the 21st-Century. 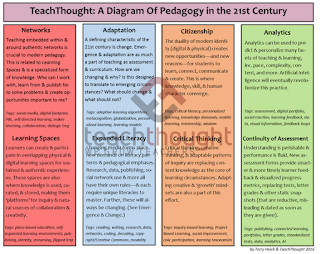 Reading the TeachThought blog reminded me how inspiring it can be to take time each week to read various education blogs. Of course, there are so many great blogs, but so little time. But, as summer approaches, and gives us more time to catch up on educational reading, I thought I would share the Teach100 list of Education blogs. Some of my favorites on the list include: MindShift, Edutopia, and the Principal of Change. Of course, this very Collab Blog is also on our list of favorites! Do you have favorite blogs, or an inspiring post you have come across lately? Please share!